Have a job posting? We will gladly list it here free of charge. ​Job postings will stay up until we are asked to take them down. Wurster Engineering & Construction (Greenville SC office) is looking for coop students and recent graduates who would like to work in the exciting field of geotechnical construction. You would be able to work on real world problems such as slope failures, deep foundations and ground improvement. Your tasks may consist of site visits to evaluate problems, coming up with a solution, cost estimation and proposal preparation. Depending on your abilities, computer modeling including slope stability, 2D and 3D finite element analysis. AutoCAD drawings. 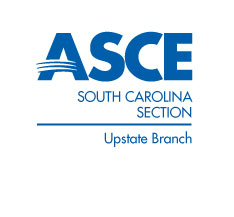 Projects may range from the mountains of North Carolina to the coast of South Carolina to Florida. You may be involved in ground improvement such as stone columns, vibrocompaction or rigid inclusions, shoring for vertical excavations and repairing a large landslide. You will gain some experience on all phases of running a business.